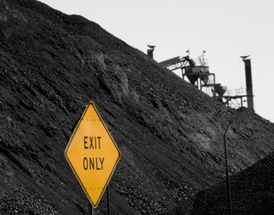 Legal News for Maryland wrongful death attorneys – The families of 2 men who died in a coal mine accident in 2007, have filed suit against Tri-Star Mining, Inc, and others. Maryland mining company faces $4 million lawsuit over the 2007 death of 2 workers. Barton, MD (www.NewYorkInjuryNews.com) – The families of two Western Maryland coal miners who were killed in a 2007 accident filed a lawsuit Thursday, April 15, 2010, claiming that unsafe working conditions led to the men’s deaths, as reported by the Baltimore Sun. The civil suit was filed in Allegany County Circuit Court. The suit was filed by the widows and children of Dale Jones and Michael R. Wilt, which seeks $4 million in compensation. On April 17, 2007, the two men were working in a Barton coal pit when an unstable highwall collapsed. Approximately 93,000 tons of rock and debris showered over the heavy-equipment vehicles the men were driving. After the incident, the federal Mine Safety and Health Administration cited Tri-Star Mining Inc., the operator, for violations that contributed to the fall. Tri-Star eventually paid $105,324 in fines after the agency originally demanded $180,000. The violations included a failure to correct hazardous conditions and allowing miners to work under dangerous conditions. Furthermore, Tri-Star failed to conduct adequate examinations of the mine. The suit names Geoerge R. Beener of Tri-Star and several other companies and individuals related to the operations of the mine. The mine is located off Route 36 in the George’s Creek Coal Basin, which spans from Frostburg to Westernport. Four coal miners have died in the state of Maryland since 1996. Legal News Reporter: Tara Monks – Legal news for Maryland wrongful death lawyers.